As strange as it might seem, it wasn’t exactly the process of painting that drew me to become an artist. I loved painting, don’t get me wrong, but it was the way art could heal that excited me. Now, when I dip my brush into the paint, I'm not doing it for me. I'm doing it because I know that what I create will always find its way to someone who needs healing in some way. I rarely plan my paintings the way that others do. And often their true purpose is not clear until they are found by those they are meant for. Each piece I create carries vibrations that are destined to heal their new owner. 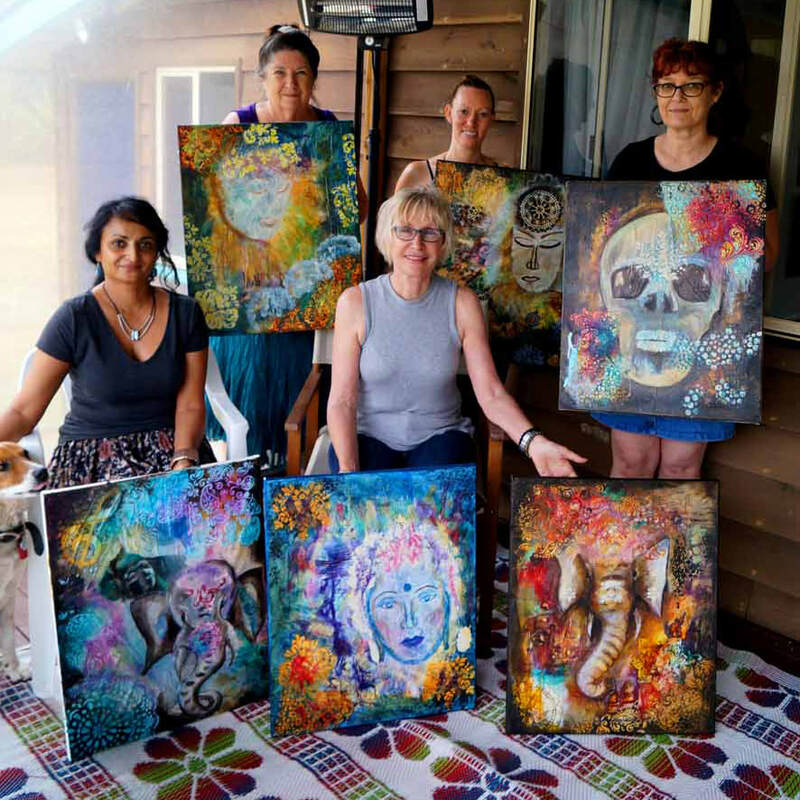 My art can be purchased as original pieces, as prints, gifts and wearable art and I teach healing art in workshops so that those who need healing can receive it in their own way. The ability to give others the opportunity to heal is something I will always be thankful for. Nothing can heal quite like art, and nothing gives me more joy than seeing it do just that. Give yourself the opportunity to experience Jaaneman Art. Step into the light and find your path to healing right here". Jane Marin is a talented Australian artist/healer and life coach and dancer, who came from England with her parents and younger brother in 1970 at the age of seven. She lives with her husband Livio on a cane farm in the beautiful Wide Bay area of Queensland, Australia. Jane is an accomplished artist employing many different media and earning early acclaim with her pencil sketches and photography. She has always been fascinated by colour, light, pictures, and symbols since very early childhood—from birth, in fact. Painting, collage, and photography were among her favourite pastimes growing up. She particularly loved making collages, bringing together small scraps of “nothing” to create picture and won her first national art competition at the age of three with a piece entitled “Ice skaters" made entirely by collage. Combining her art with her talents as an intuitive healer now has Jane producing powerful healing mandalas, the basis of which are her beautiful photographs. 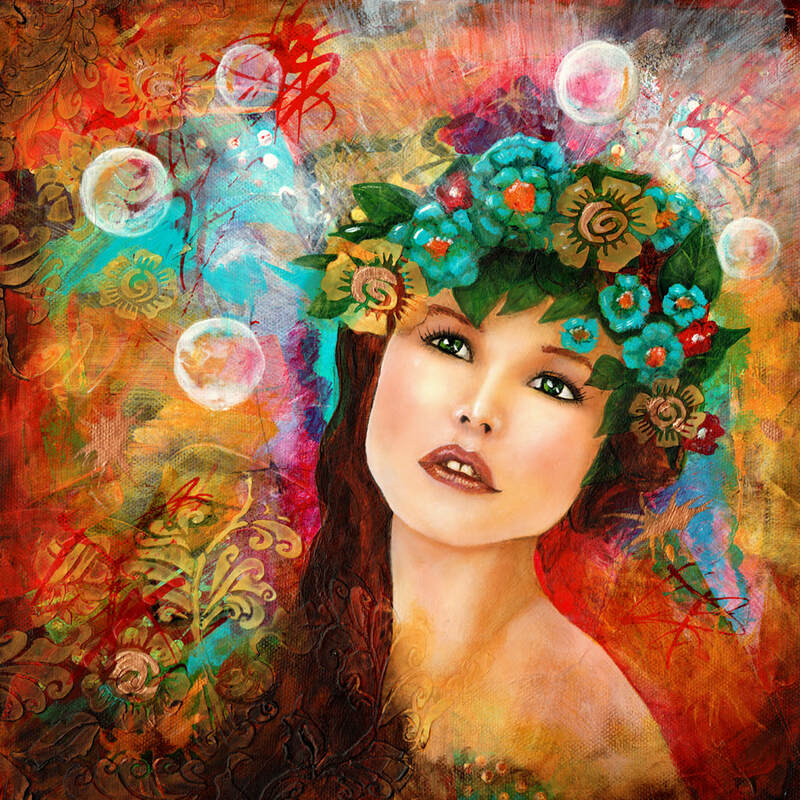 Jane's paintings featuring in particular the Divine Feminine are now available as prints and set into her beautiful jewellery pieces. Many of her original pieces, acrylics on canvas or wood are also available to be purchased. 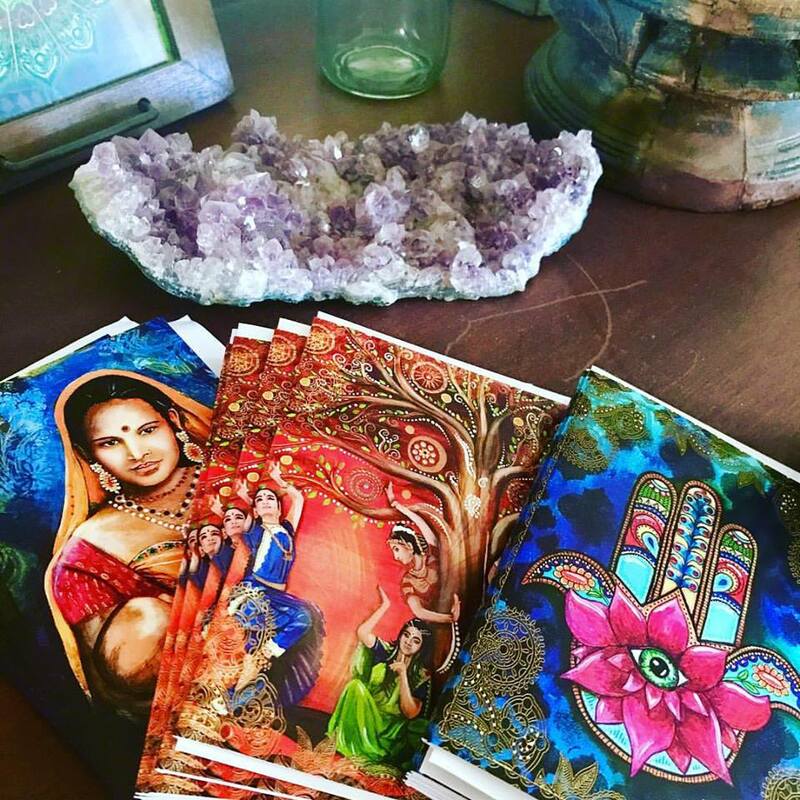 Jane's artwork also graces the pages of some wonderful books by Blue Angel Publishing including Alana Fairchild's Crystal Angels 444, Crystal Masters 333 and Crystal Goddesses 888. Also Alana's Crystal Mandala Oracle and Jade-Sky's "Eternal Crystals". You can find these in her online shop along with her own Mandala Oracle.